We finally have proof that Donald Trump used to be one of us, as reporters for the Washington Post talk to people who knew him as a child. Steven Nachtigall, now a 66-year-old doctor, recalled the time Trump, the “loudmouth bully,” jumped off his bike and pummeled another boy. As long as we’re on the subject bike-riding celebrities, Cindy Crawford is one of us, as she goes for a ride in the ‘Bu with her fat bike-riding husband. Gerard Butler is one of us, too, looking none too pleased to be stalked by paparazzi as he rides and dines in New York. Metro wraps up the official Bike Month activities with tonight’s Bike Night at Union Station. Meanwhile, Santa Monica Spoke closes out the month next Wednesday with a presentation by Chris Morfas on his work in Bogota, Columbia, home to 600,000 daily bike trips. Tickets are available here. Today’s common theme is new bike stuff. A new bike bell promises to make itself heard inside nearby motor vehicles. And not necessarily politely. Your next ebike could fit in a backpack, right next to your collapsible folding helmet. Wired says a new bike from California-based Yuba means we should all ditch our cars and start riding cargo bikes. Cycling Weekly offers five talking points from stage 18 of the Giro. Thursday’s stage could have relieved the pressure on Teejay van Garderen, or increased it. And the Wall Street Journal asks if Tom Dumoulin can stay No. 1 after the No. 2 heard ‘round the world. Part of the money Metro saves by not finishing the 710 Freeway could go to street improvements, including bike lanes. LA is testing low-cost pedestrian safety improvements in South LA, but may be complicating matters for people on bikes. 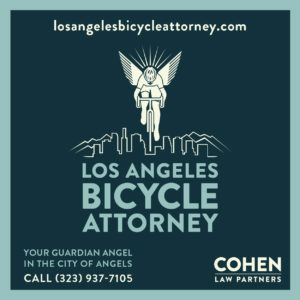 The attn: website picks up the story the LAPD’s tone-deaf Vision Zero tweet encouraging bike riders to use lights and helmets in response to a possibly homicidal driver. Time Out LA looks forward to the coming bike, foot and horse bridge over the LA River connecting Griffith Park to Atwater Village. Taking time out from an increasingly busy advocacy schedule, LA Bike Dad bikes the kids to the La Brea Tar Pits. A Burbank letter writer says the city’s bike lanes don’t really inconvenience anyone, and could save lives. 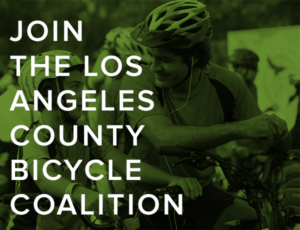 The La Verne Bicycle Coalition is using GoFundMe to raise money for bicycling improvements. Thanks to Lester Walters for the heads-up. A Malibu paper talks with a man who’s bicycling an estimated 11,729.17 miles to visit every major league baseball stadium in the US this summer. A homeless Orange County man swears he’s not running a bike chop shop, and all the bikes he sells were collected from sidewalks, trash bins and junk yards; local authorities — and people who’ve had bikes stolen — aren’t so sure. A Newport Beach elementary school paused to remember Brock McCann, the eight-year old third grader killed by a garbage truck while riding his bike home from school one year ago. No surprise here. The Fallbrook teenager accused of killing a bike rider while under the influence of a controlled substance has pled not guilty. Meanwhile, a GoFundMe account has been set up to benefit the victim’s family. A Santa Barbara writer describes how he cracked his pelvis falling off his bike on wet cobblestones on an underpass maintained by Caltrans — and met another rider who was injured at the exact same spot. Caltrans’ warning sign telling cyclists to walk their bikes is probably not sufficient for the agency to avoid liability. A Sacramento writer says the city may finally be becoming more bike-friendly, but it needs to pedal faster towards that future. People For Bikes wants you to just say no to the Trump budget, which says no to bicycling. 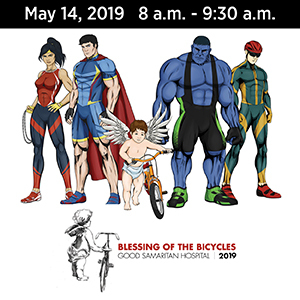 A physically disabled eight-year old will be able to ride a bike with his family for the first time, thanks to the efforts of volunteers from Utah State University. There could soon by a protected bike lane on Nashville’s famed Music Row. A Florida woman rejects a call for bicyclists to pay their fair share, saying we already do. In more ways than one. Bicycling is helping a Syrian refugee adapt to his new home in Canada. This is the kind of scary person our government wants to bar from the country. Toronto discovers the hard way that a bike path with no barriers separating it from the roadway doesn’t pass the 8 to 80 test; a regular bike commuter says nothing prepared him for the crash he witnessed. A London writer says “smug” cyclists are the key to a fume-free future. And bike riders might not be so paranoid if drivers would stop knocking them over. The Guardian considers which British political party will do the most for bicycling in the country; not looking good for the major parties. A new survey from the UK shows exactly what you probably already knew. 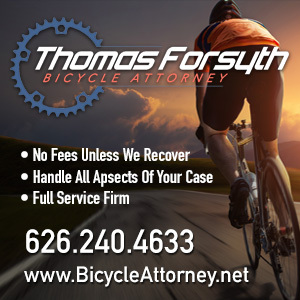 Most drivers don’t understand the law when it comes to bicycling. Every cyclist needs mom to coach them up the hard parts. If you’re going to make a run for it on your bike after stealing tools, try not to carry so many purses with you. And if you’re going to ride drunk, try to pee facing away from traffic. Then again, that holds true for taking a dump while leading a Grand Tour, as well.